From the restaurant seat you enjoy to lounge in to the comfy sofas and chairs you keep at home, SewDaddy Upholstery, in Rochester, New York, specializes in keeping them in top working condition. Let us put our masterful furniture reupholstering skills to work for you. We do hotel seating, gyms, and so much more! 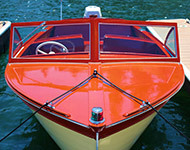 We provide service for commercial interests, residential homes, and even boats. Our professionals are also trained in the re upholstery of antiques. Our tailoring is as meticulous as it can be, just so you can have assured comfort. There is no detail too small or too big, and we always want our customers to be satisfied with our work. Our professionals provide commercial upholstery services for a variety of industries. 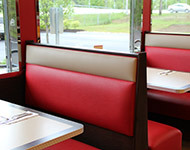 We custom manufacture restaurant booths, custom table tops, but offices and even gyms can take advantage of our skills. 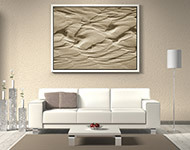 Keeping people comfortable in their own homes is a big part of our business model. We want your favorite furnishings to stay looking and feeling at their absolute best. Ship furniture and cushions all too often go forgotten, the act of traveling by sea itself the main reason to own that boat. But why travel in discomfort when we can repair your ship's seating?. We pride ourselves on offering a wide selection of fabrics to our customers. 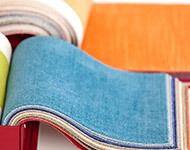 Many people enjoy our vinyl & fabric selection, but for our commercial application we offer Naugahyde material..
Don't let yourself or your customers deal with anything less than comfortable seating. We're the second generation of furniture upholstering specialists here in Upstate New York, and we've been doing it for over 35 years! We pride ourselves on our European style tailoring and craftsmanship, and dearly enjoy to go above and beyond for our customers. Our professionals are pleased to provide free estimates and a large selection of sample books to choose your fabric from. We don't charge for pick up or delivery, so contact us today!